It’s been an industrious last few months for War of Conquest! Most of the programming is finished, and while I’m sure there will be a lot of balancing and tweaking of mechanics to do once testing begins, it’s starting to feel like a game. Lately I’ve been focusing on having 3D models made for some of the defensive units that players can build. The idea is to get just enough art done before the Kickstarter campaign to be able to show some scenes of nearly-finished gameplay in the Kickstarter video. That would look a lot slicker than the boxes I’ve been using as stand-ins for most objects. With this update I thought I’d share with you what some of these new defensive units look like. There are three branches of technology advances in War of Conquest — one that specializes in machines and traditional high-tech sci-fi gear, one that focuses on understanding and engineering living organisms, and one that concentrates on arcane arts and psychic abilities. The first image here is of an arcane tower called a Keraunocon. 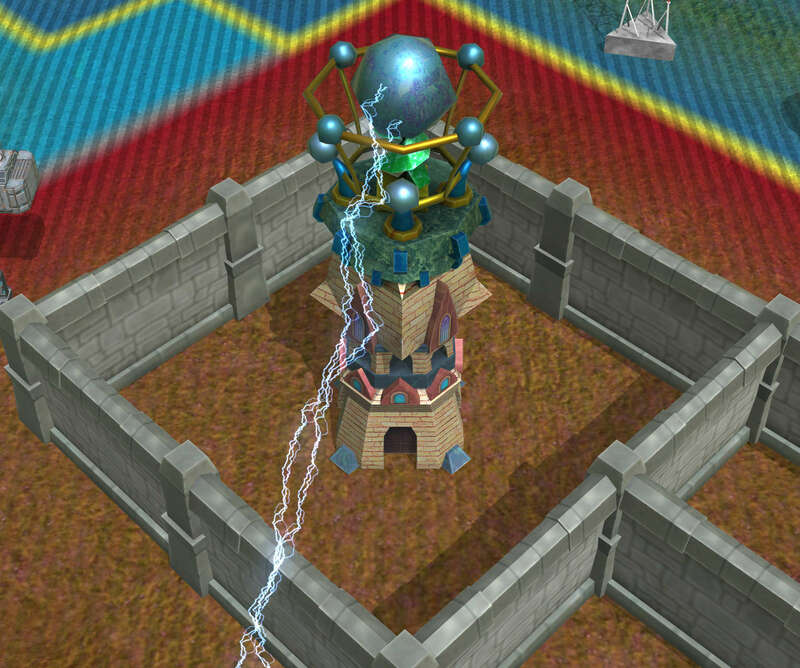 This is a mid-level defensive structure that, when attacked, casts lightning at nearby enemy locations. Here it’s pictured shooting an arc at an unlucky invader. The second image is of a Pestilence Launcher, a sort of catapult built around a giant tree stump, that launches a heap of disease-ridden carrion into enemy territory. This is one of the low level structures built by nations that specialize in biological-based advances. The third image is of a Geographic Wipe structure, which requires one of the high level technological advances. As players of the original War of Conquest remember, Geo Wipe is a devastating weapon that tears enemy forces right out of this dimension. Note that these are in-game shots, but from a lot closer up than they’ll usually be seen in the game. 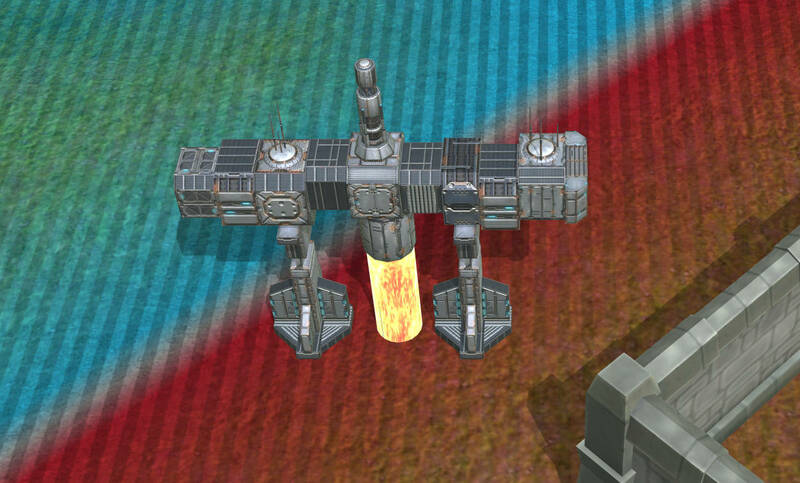 Each of these structures fits on a single square of War of Conquest’s grid. 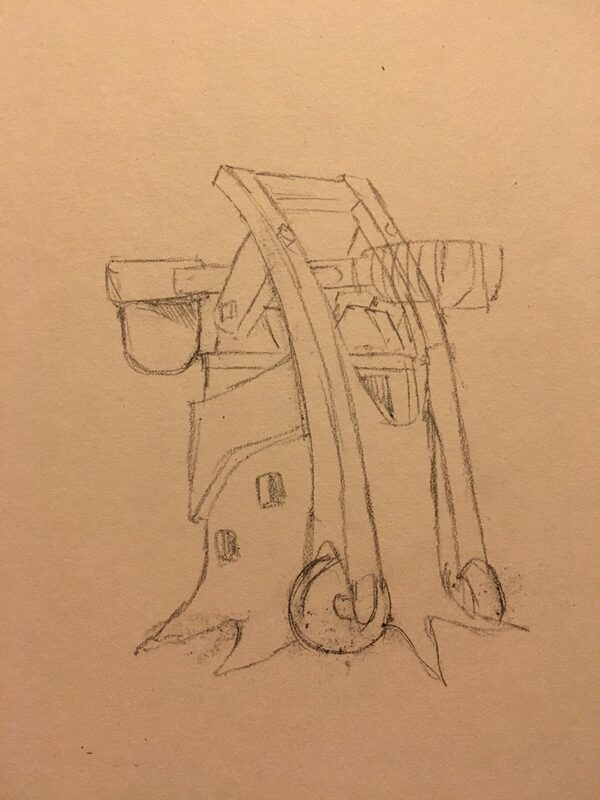 Finally, there’s a concept sketch for the Pestilence Launcher — this is how most of the game art begins, as a rough sketch, which is given to a 3D artist who fleshes out the object and textures it. 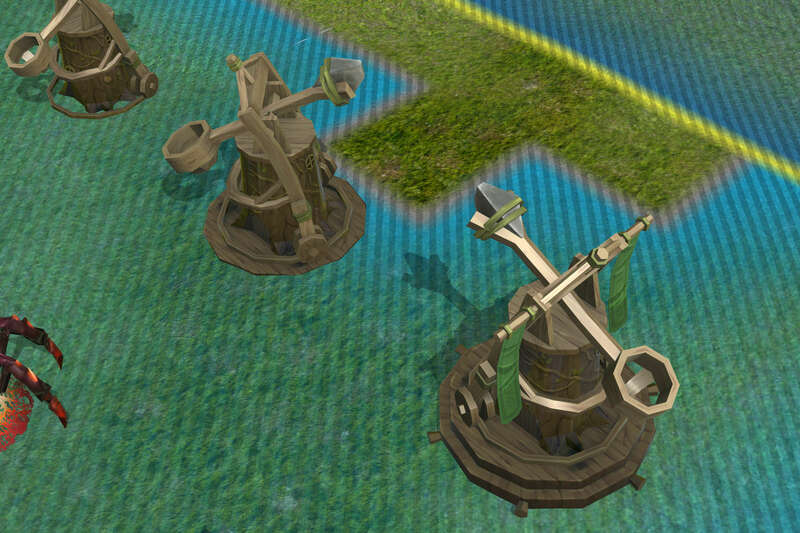 There are several upgrade versions of each type of object — here you can see three versions of the Pestilence Launcher. It’s getting to that point in development where the biggest tasks are done but there are lots of loose ends to tie up… tutorials, language localization, polishing the UI, fixing bugs and adding features that weren’t obviously necessary until now. Before too long I’ll be transitioning to putting together the Kickstarter video and campaign, and I’m aiming to launch the campaign in the early Spring. Soon after that, testing will begin.